Use the date picker below to search for availability. 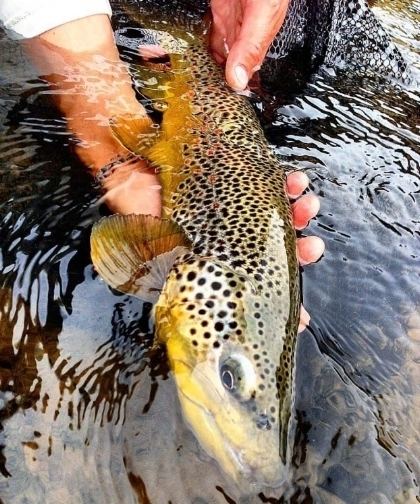 Spend the day fly fishing with an experienced local guide. You'll learn unique techniques and catch some high alpine fish. Arctic Char are a prized catch on Lake Dillon, only found here in the lower 48 states. Ask about special packages where the owner will tie flies specific for your trip. Hours are flexible, please contact Silver Flask Fishing at (920) 268-9918 to request earlier or later start times. Each tour is a 4-hour block, but if you are satisfied after 2-hours you have the option to cut the tour short. For maximum enjoyment we suggest the full 4-hour session. Angler Rates: 1 person- $180 2 people- $300 3 people- $420 Multi-person discounts will be reflected upon checkout. Permitting allows 3 people max per trip. Gratuity is not included in the listed prices, but is always appreciated. Prices include all equipment, instruction, waders and boots. Upon booking Silver Flask will follow-up with additional details. Please obtain a Colorado fishing license prior to your trip. You may purchase your license online: http://cpw.state.co.us/thingstodo/Pages/Fishing.aspx or call 1-800-244-5613 or a local sporting goods retailer.